Maruti Suzuki all set to export Made-in-India Baleno to Japan. Maruti Suzuki India is all set to export for the first time a ‘Made-in-India’ car to Japan, the home of parent Suzuki Motor Corp, in a move that could lead to India becoming a Suzuki export hub, an executive of the company in India said. New Delhi : Maruti Suzuki India is all set to export for the first time a ‘Made-in-India’ car to Japan, the home of parent Suzuki Motor Corp, in a move that could lead to India becoming a Suzuki export hub, an executive of the company in India said. Suzuki already derives about a third of group revenue from Maruti, which sells one in every two cars in India but is seeking to step up growth in more developed markets. 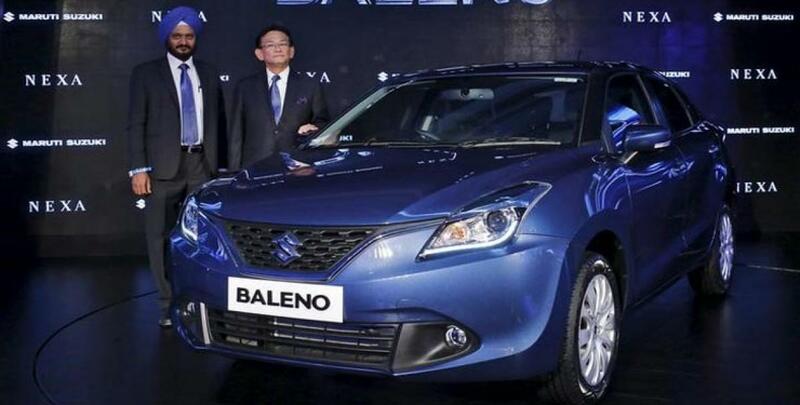 The Indian carmaker launched its premium hatchback Baleno on Monday and will begin exporting it to 100 countries including Japan and Europe from early 2016 as it works to establish itself alongside more up market global automakers. If Maruti is able to win over customers with the quality and design of its made-in-India Baleno, it has the chance to become an export base for future models, Maruti's managing director, Kenichi Ayukawa, said on Monday. "Competition is very high in developed countries.They have a lot of good products and under that condition we have to compete. If this product will be successful we have a chance to grow our strategy," said Ayukawa. The export strategy has yet to be finalised, but India has a chance to establish itself as a Suzuki export hub, Ayukawa said, adding that Maruti plans to export about 50,000 units of the Baleno in 2016. Global carmakers such as Volkswagen, Ford and Hyundai use India as an export hub for emerging markets in Africa and Latin America, taking advantage of the country's low-cost manufacturing base. Though Maruti is India's leading carmaker, selling 1.2 million cars in the year to March 31, its exports are limited and mainly to countries in Africa and Latin America. Exports to developed countries could also have the added benefit of helping Maruti, which is well known for its no-frills cars, to refine its offering in its domestic market, where global carmakers such as Hyundai, Ford and Renault are launching small cars packed with more infotainment and safety features. Maruti's export plan will enable the company to learn better technologies and processes used in mature markets, which can then be incorporated in its cars sold in India, said Puneet Gupta, senior associate at IHS Automotive. "This product is vital for Maruti's future strategy It is getting ready for the competition in the next decade," Gupta said, adding that it is rare for a Japanese carmaker to import from India and shows the country's importance for Suzuki.